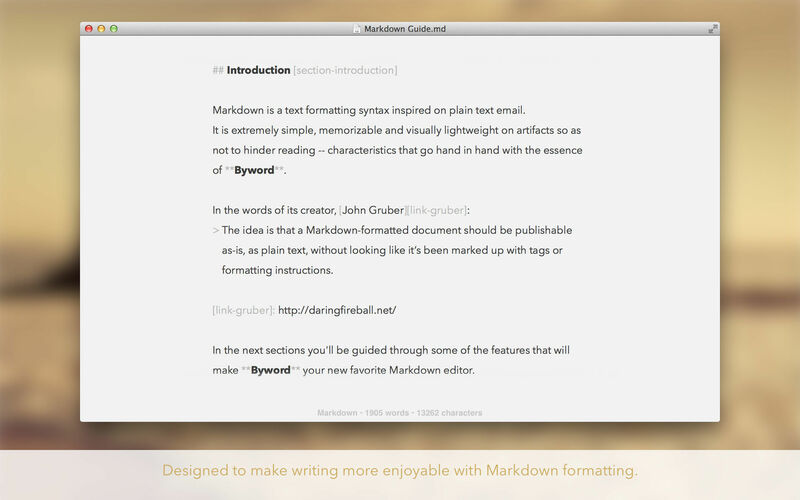 Is there a better alternative to Byword? 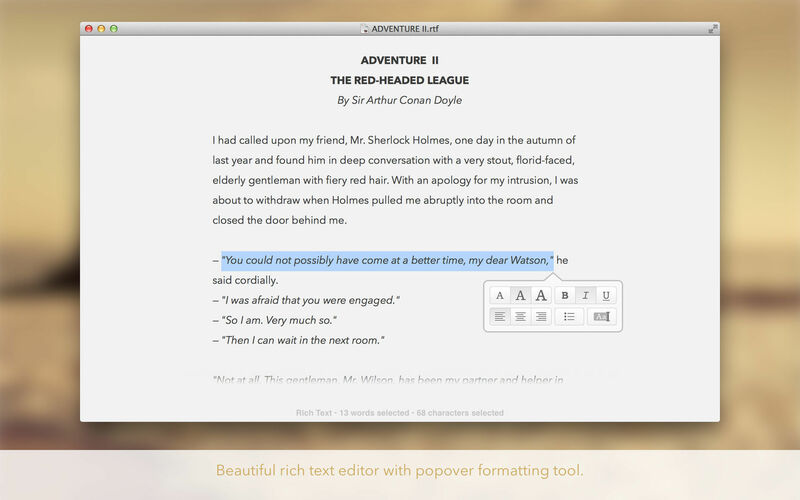 Is Byword really the best app in Word Processing category? 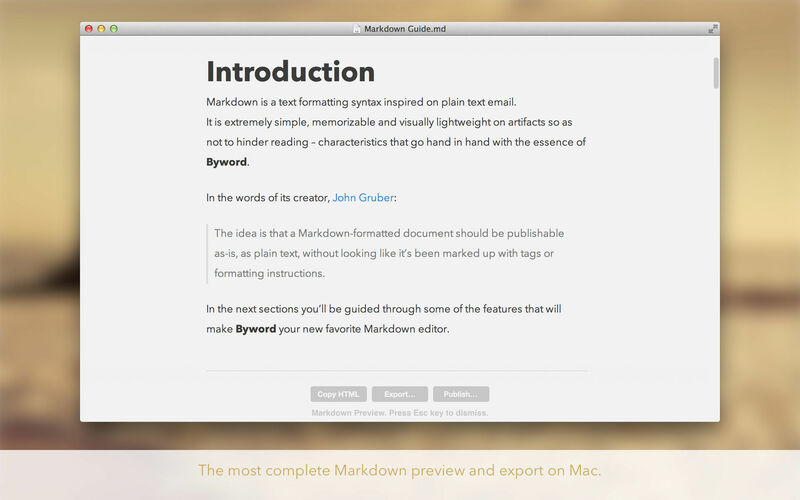 Will Byword work good on macOS 10.13.4? 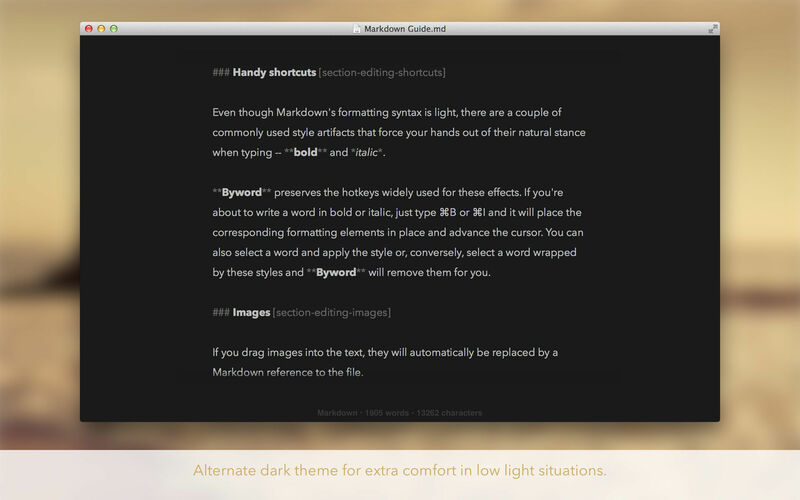 Byword starts with a clean, full-screen interface that lets you start typing right away--no templates to choose, no type settings to tune, no spacing to adjust. Everything is already prepared for you.